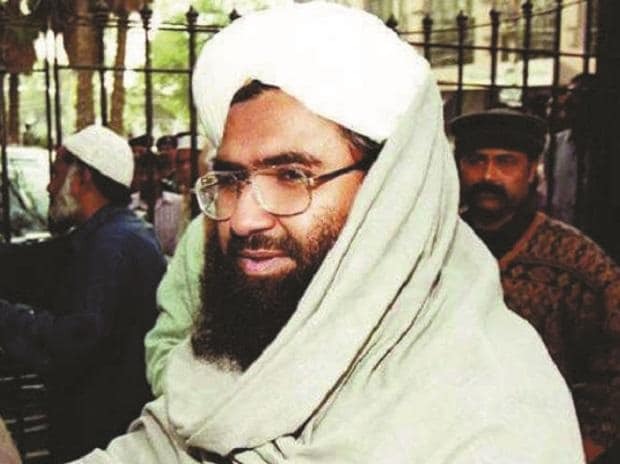 China on Wednesday hit out at the US for threatening to use "all available resources" to designate Pakistan-based JeM chief Masood Azhar as a 'global terrorist', saying Washington's move is complicating the issue and not conducive to peace and stability in South Asia. After China put a hold on a French proposal to list Azhar under the 1267 Al Qaeda Sanctions Committee of the Council, the US on March 27 circulated a draft resolution to the powerful 15-nation Council to blacklist Azhar and subject him to a travel ban, an assets freeze and an arms embargo. Chinese Foreign Ministry spokesman Geng Shuang told a media briefing here that China is adopting a constructive and reasonable stand on the issue to resolve it properly. He was responding to a question about State Department spokesman's assertions that the US will use all "available resources" to blacklist Azhar. The US on Tuesday reportedly said it will utilise all available resources to ensure Jaish-e-Mohammad founder Azhar, was held accountable. The State Department was responding to China criticising the US, France and the United Kingdom for moving a draft resolution at the UNSC as not a constructive move and that it set a bad example. China, on Monday criticised the US for directly taking the issue of listing Azhar as global terrorists to UN Security Council after it had put a technical hold on the US, UK and French resolution earlier to declare him a global terrorist in the UN's 1267 Sanctions Committee dealing with counter-terrorism issues. On Monday, Geng claimed "positive progress" has been made to resolve the vexed issue and accused the US of scuttling its efforts. China has so far blocked the move to designate Azhar as a 'global terrorist' four times in recent years. On Wednesday, the Chinese Foreign Ministry spokesman said vast majority of the UNSC members believe that efforts should be made under the 1267 Sanctions Committee to solve this designation through dialogue and consultation instead of pushing the draft resolution at the UNSC. Also China has been working hard with relevant sides and is making positive results. The US knows that very well. Under such circumstances the US still insists on pushing the draft resolution, doesn't make any sense," he reiterated. He said the US' action is not consistent with the UN rules and customary practice and sets a bad precedent. It is only complicating the issue and not conducive to peace and stability in South Asia," he said. China will continue to adopt constructive and responsible attitude to participate in discussions and deliberations on the designation issue," he said. We hope this issue will finally be resolved properly, he said. To another question that no evidence has come about the involvement of JeM in the terror attack in Pulwama and the situation in Jammu and Kashmir, Geng said, On the recent incident in Kashmir, China has stated its position. We hope South Asia could maintain peace and stability and we hope India and Pakistan will engage in dialogue and through dialogue and consultation resolve outstanding issues." India handed over a dossier to Pakistan on February 27 with specific details of Pakistan-based terror group JeM's complicity in the Pulwama attack that killed 40 CRPF personnel on February 14 and the presence of JeM terror camps and its leadership in Pakistan. Pakistan has already said that it has not found any link between the JeM and the Pulwama terror attack and demanded more information/evidence from India.